Why we love it: The first thing you'll notice about this body scrub is how indulgent it smells! 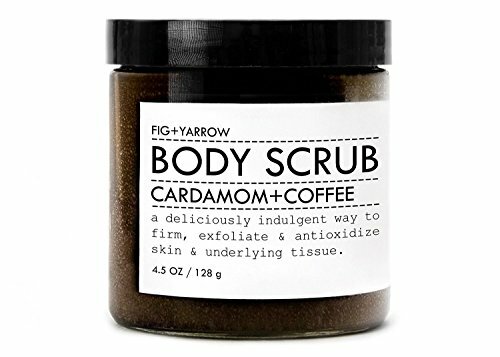 Organic Coffee and Cardamom combine for not only a delectable scent but to increase circulation and tighten the skin. The caffeine from the Coffee grounds smoothes and firms up the skin, diminishing the appearance of cellulite and unevenness. Moisture is restored with Castor Oil, Coconut and Shea Butter for a hydrated, fresh feel. Scrub up in the shower and rinse.